Because of our family connections here in Barbados I’ve always stayed within strolling distance of the small fishing town of Oistins, about 12km east of the capital Bridgetown. By day it’s just a busy little town, with traffic crawling down the main street past the fish market, the supermarket, the post office and a few fast food joints. 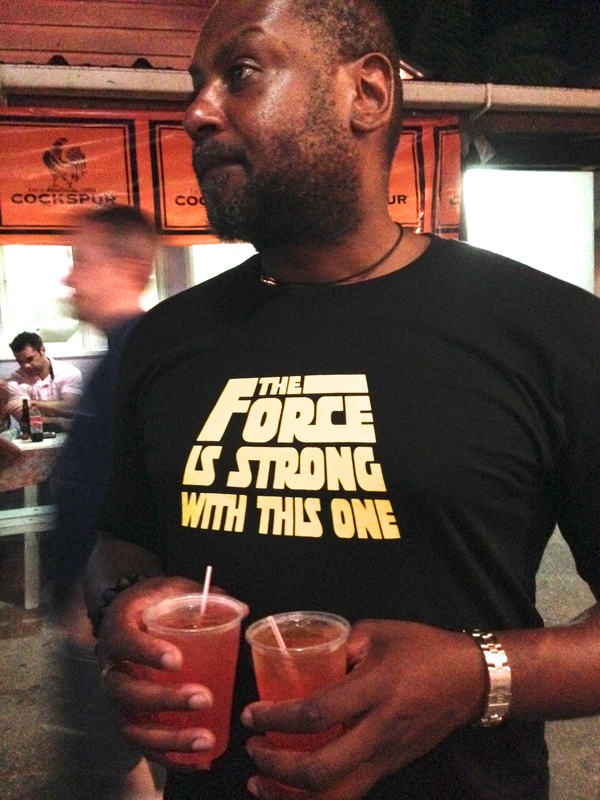 On Friday nights, however, the place explodes into the best night out in Barbados as the fish market closes down and makes way for the fish fry. 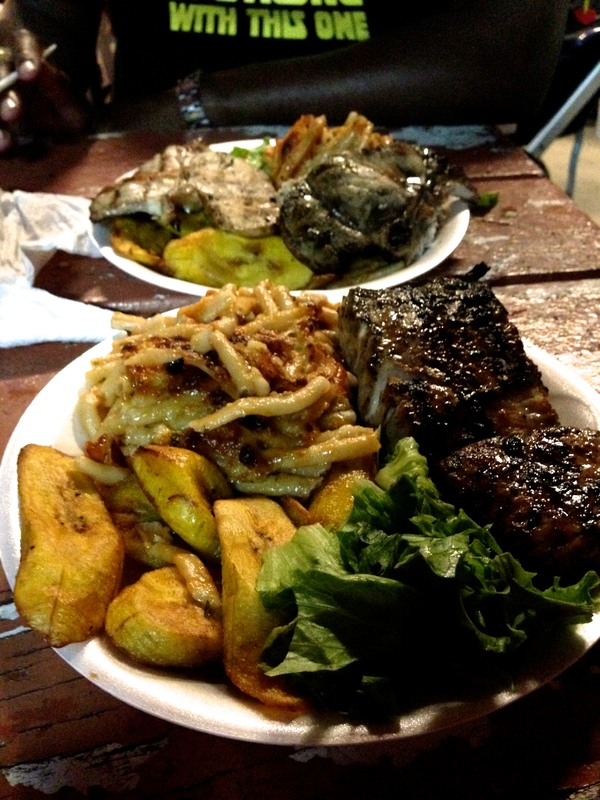 Oistins Gardens hosts dozens of family run stalls, selling the freshest fish cooked to perfection. Locals jostle with hundreds of tourists who come by the busload from far-away Speightstown and the other posh west coast resorts, queuing at their favourite spot to pick up a huge plate of marlin, mahi mahi (known locally as dolphin fish), tuna, flying fish and more, all served with your choice of rice and peas, macaroni pie (a local speciality which is essentially macaroni cheese but served in a much more solid state like lasagne), fried plantain or breadfruit chips, salads and more. 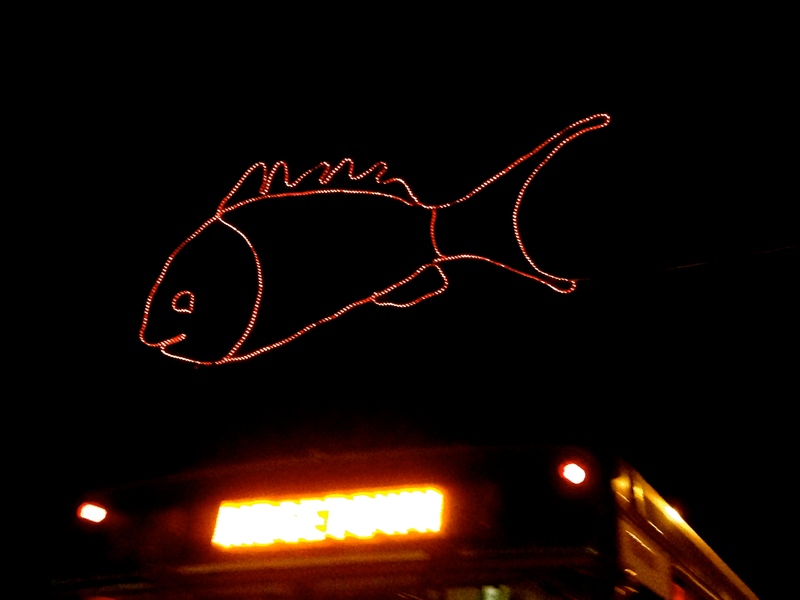 A plate of food will cost you B$25-30 depending on the fish you choose – around US$12-15. A strong rum punch will cost around B$5, but you will see most locals sticking with soft drinks and tourists will pick up a few Barbados beers to wash down the feast. Many of the families who own fishing boats also run the fish fry stalls, and they all have their secret recipes. Pat’s Place right on the main road always has queues waiting for their amazingly well marinated fish and huge portions. You pay at the counter and get your takeaway container with your sides, then stand patiently beside the barbecues until the fish fryer dumps an enormous lump of freshly grilled fish on top. Always ask for a takeaway container – you’ll get much bigger portions than if you order a plate. Angel’s, further into the market, also does great fish but their macaroni pie is one of the best in the market. In years gone by you used to be able to wander around buying your fish from one place, your macaroni pie from another and so on. You still can do this in theory, but the queues will mean a long wait for your dinner. Entertainment, apart from people-watching, is laid on too. A huge stage hosts a procession of local talent, all dancing to their favourite tunes and maybe passing the hat around later for the crowd to show their appreciation. Every Friday night for years a local guy has donned a black fedora and red sequinned shirt to do a mean Michael Jackson impersonation, right down to a perfect moonwalk across the stage. He is followed by other amazing dancers – mostly men – and the occasional over-enthusiastic sunburnt tourist who can’t resist the urge to join in. Just remember if you are tempted: they are laughing at you, not with you. Round the back at another bar, people are dancing to old-time music for proper dancers to enjoy. Local couples dress to impress and show off their salsa, waltzing, jive and other Strictly Come Dancing moves: the women in spangly dresses and silver shows, the men with smartly pressed trousers and old-fashioned manners. It’s a joy to watch and tempting to join in, the standard is high. There are a few market stalls now, too. Jewellery, Barbados towels, hand-made dolls, summer dresses and polished conch shells line the edge of the fish fry, right down at the water’s edge. Groups of men sit at another stall playing a competitively fought game of dominoes whilst their mates watch on and shout encouragement. Friday nights are not the only night to enjoy Oistins – in fact, Saturdays have a lot to offer without the hordes of tourists. The same fish fry stalls are open but tonight it’s karaoke night, with a small group always lined up along the huge stage to tell the DJ their song and belt it out for the crowd. One chap comes along every Saturday night and sings “I Want To Know What Love Is” by Foreigner. He has every nuance of the ballad, and more passion than you can shake a stick at. Thing is, he’s tone-deaf, but his heartfelt rendition gets a standing ovation every week. This week we had a couple of great Luther Vandrosses and even a pretty decent Bette Midler doing “Wind Beneath My Wings”. 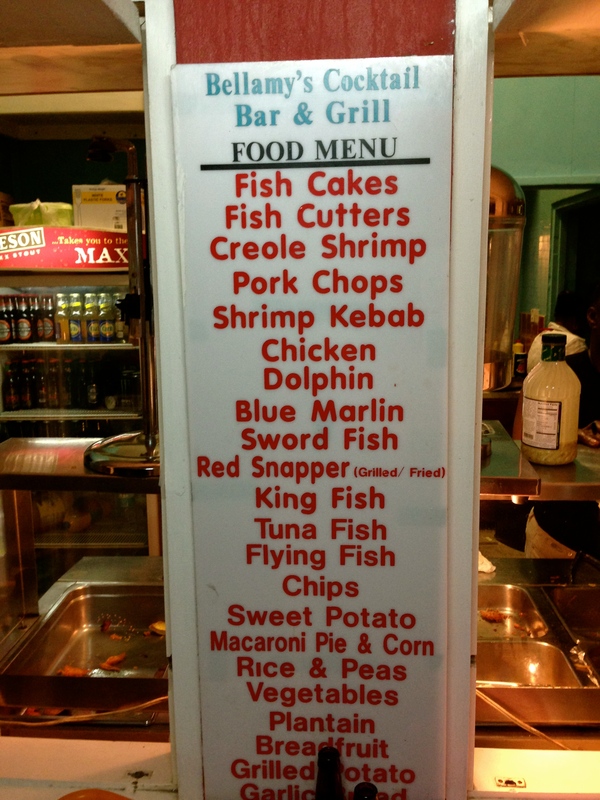 Actually, if you head down to Oistins any night of the week, quite a few of the fish fry shops will be open to accommodate the local crowd, so even if weekend nights are out it’s worth a trip down. Round off your evening’s entertainment by getting a ZR there and back. It might just be the ride of your life. Love the Oistins fish fry! Thanks for sharing the article. Had a really great night there.